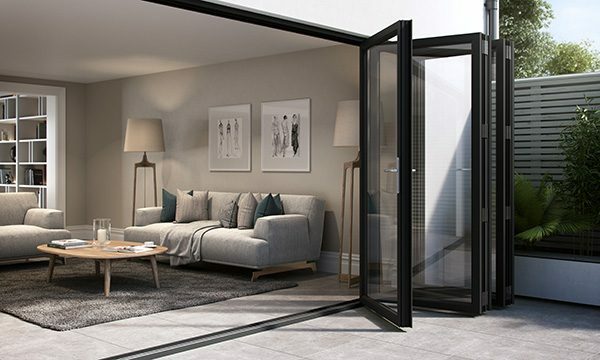 Integral bifolds come with many innovative features comprising of specifically engineered robust double-walled aluminium profiles, double hinge fixings, stainless-steel tracks and brushed rollers providing Integral with the additional rigidity to stand up to years of repeated use. 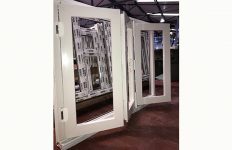 The external frame and sash upstand are bevelled to match the PVC-U systems. For a contemporary look, there is the alternative of a sash with a square-shaped upstand. 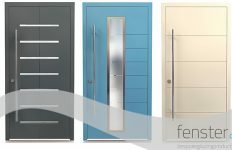 All doors are internally glazed and feature a choice of labour saving bevelled or sculptured PVC-U beads to complement the style of a property’s windows. And, where clean modern lines are required, there’s a smart, square aluminium bead. A choice of foil colours and woodgrain finishes adds to the appeal. The Integral bifolds are fully configurable too. They can accommodate up to seven leaves with a width of 700 to 1000 mm. Multiple opening options are available in single traffic door or french door, left and right stacking or centre parking. There’s a choice of access door position and leaves can open inwards or outwards. 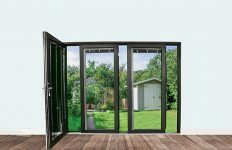 Integral bifolds can be glazed from 28mm to 44mm triple glazing delivering exceptional thermal efficiency with a U value as low as 1.1W/m²K. They also meet all security requirements – they are PAS 24 accredited up to 1000mm wide x 2400mm high, meet Secured by Design standards and are Document Q approved.